WASHINGTON — Veterans who live more than 30 minutes from a Veterans Affairs medical clinic or face a wait of more than 20 days for most health care appointments would be eligible for expanded private-sector medical options under new proposed guidelines unveiled by department officials on Wednesday. The new standards would replace the 40-mile, 30-day guidelines currently in place for most veterans and could dramatically expand the number of outside health care appointments that VA will have to fund in coming years. Veterans would also be able to receive urgent care outside the VA system in a to-be-established community care network. Those emergency appointments would require a co-payment from the patients, but department accountants would cover the bulk of costs. Department officials say they are on track to put new veterans medical rules in place by June, but advocates worry they haven't seen details so far. In a statement, VA Secretary Robert Wilkie said the new standards — scheduled to be in place by June — are a vital part in ensuring proper health care for veterans well into the future. The new access standards were mandated under legislation passed by Congress last summer with bipartisan support. But congressional Democrats have repeatedly warned that shifting too many VA resources to outside clinics and doctors’ offices could slowly drain away needed resources from the department’s facilities and lead to privatizing VA’s core mission of providing health care for veterans. Lawmakers were scheduled to be briefed on the new draft standards on Wednesday afternoon. Capitol Hill staffers and several prominent veterans groups have complained that much of the work in writing the standards in recent months has been done behind the scenes, without sufficient input from the larger veterans community. Both Wilkie and previous VA secretaries have said the current community care rules are a patchwork of seven different programs that have separate eligibility regulations, billing policies and reimbursement rates. The consolidated program is designed to simplify and streamline that. “Strict and confusing qualification criteria like driving distances and proximity to VA facilities that don’t offer needed services will be replaced by eligibility guidelines based on what matters most: the convenience of our veteran customers,” Wilkie said in his Monday statement. For primary care and mental health medical appointments, the department is proposing a 30-minute average drive time standard and a wait-time standard at closer VA facilities of 20 days. For specialty care, the drive-time standard would increase to 60-minutes and wait time to 28 days. The move comes as department officials work to overhaul VA's outside care programs over the next year. 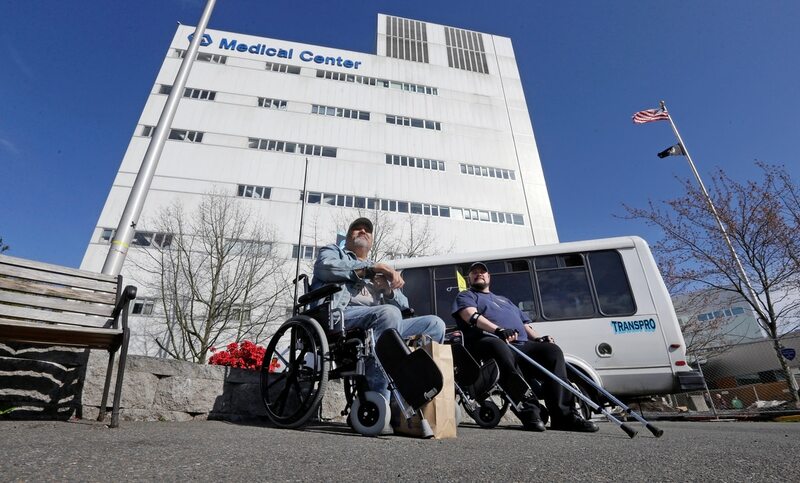 VA officials said they expect the new standards to more than triple the number of veterans eligible for outside care. About 8 percent of veterans in the Veterans Health Administration now qualify for the community care programs. The new standards are expected to take that to between 20 and 30 percent. But officials also are not anticipating a significant rise in new outside appointments, citing a slight decrease in community care usage last year. Initial estimates for the new plan are more than $21 billion over five years. Those costs have raised significant concerns from critics, especially as fiscal hawks on Capitol Hill have expressed concern about the ever-growing VA budget. Last year, department spending topped $200 billion for the first time. Officials from the Veterans of Foreign Wars said department officials should have gotten more feedback from advocates about potential problems with the new standards before their release. "VA is repeating previous mistakes,” said VFW Executive Director Bob Wallace. “Twenty days is just as arbitrary as 30 days, and by simply once again adopting Prime Service Area standards does not serve the best interest of veterans. " But officials from Concerned Veterans for America, which has been pushing for the community care overhaul in recent years, praised the new proposed rules as an important step forward for veterans care. “These standards are simple and straightforward, eliminating much of the confusion created by the Veterans Choice Program and the VA’s other community care programs,” Executive Director Dan Caldwell said in a statement. Lawmakers are expected to hold hearings on the new proposed rules in coming weeks.